Needless to say, nothing is better than investing in real estate because it ensures high return value and a property for the better use. Of course, when it is to pick from residential or commercial? It creates a major perplexity in the mind of the buyers, but one has to understand the purpose and requirement because according to this one can make his/her choice. 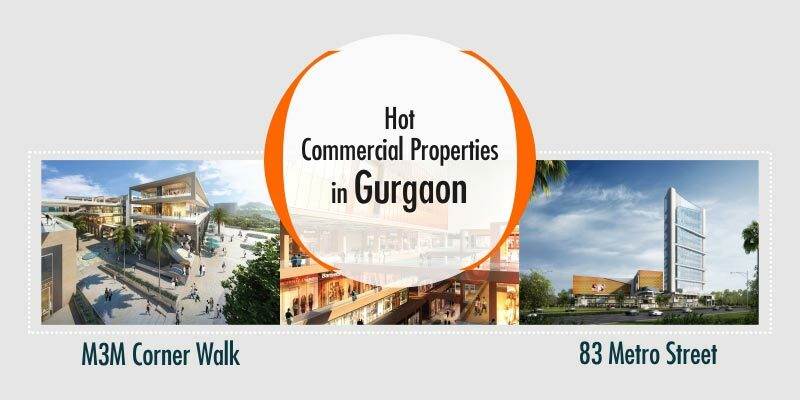 Those who are really keen to know about the Latest Commercial Projects in Gurgaon can get the best options here. Now keeping the worth of Buying Commercial Projects in India, here we will discuss the top commercial properties in Gurgaon which opens up lucrative investment option and is worth its weight in gold. Let us start with the list below and watch out meticulously because you will get confused which is better. Builder- M3M India one of the highly regarded builders in Indian real estate segment who has been working on the new project to bring out the best residential and commercial options. Their meticulous approach has added many sterling projects in different locations and now they are adding one more commercial project in Gurgaon (now it is popular by the name Gurugram). Availability- M3M Broadway Gurgaon offers the blend of office space, retail shops and multiplexes and studded over the large area to accentuate every space in the best way possible to get the maximum use and start a business that creates its own niche rapidly. M3M Broadway sector 71 Gurgaon is close to the residential colonies where it brings a full entertainment space with shopping, grab best cuisines, watch movies and also this project captures office space, so it will open the job opportunities for the local surroundings. In addition to this, its prominent structure brings wide space, right cross ventilation system, glass gives a perfect look to showcase every section to its customers. Builder- SV Housing, trusted & reputed builder with exclusive presence and meticulous planning has reached to the top level to bring exotic residential and commercial projects in different areas. Kudos to this builder for working on the new needs and developments. Location- 83 Metro Street Gurgaon holds its position in sector 83 Gurgaon which is a developed sector filled with every option within the vicinity and appeals the residents to come and stay in this sector in the leading & prime residential hubs. And when residents are there, then there is a need for a commercial hub, where the project like 83 Metro Street Gurgaon adds its immense presence, other than this, sector 85, Gurugram embraces the direct connectivity to Delhi, IGI Airport, DLF Cyber City, DLF Cyber Hub and more. Availability- This project again is the perfect blend of retail shops, Multiplex, office space and ATM’s, so as per the requirement you can buy any space to start a business or even for investment where it can ensure good rental value. This project is studded over 4.2 acres of area with stunning planning and execution to bring a true commercial hub in Gurgaon where investors get a chance to stimulate their investment and startup companies can get a space to stimulate their business. Location- M3M Corner Walk holds its presence in sector 74, Gurgaon that comes with the direct connectivity to all residential projects and other than this, sector 74 is adding more robust developments to spur the options for the residents. This sector and even its adjoining sectors are well attached to boost its connectivity and bring a high range of options for the local residents, so sector 74 is going to bring more projects to value its existing projects. Availability- Here in M3M Corner Walk you get an office and retail space studded over 7.5 acres of area to bring a mesmerizing commercial space where one can get best office space and enjoy shopping with delectable cuisines. Its appealing structure and captivating designs make this retail segment an ideal investment hub in Gurgaon to grab a space that holds its position for years. This is not the end because today Gurgaon is the Prominent Hub for top notch commercial projects and each of them is profitable in its own way, but here we have presented the top 3 commercial projects that are worth its weight in gold and most importantly, bring an opportunity to spur the business in an exclusive address to grow unstoppably.